At arrival you'll met our representative. He can abet and transfer you to the Deluxe barge for 02 nights keep. Later Later appreciate the unwinding Shikara ride on the notable decaliter lake to witness the aquatic life conjointly visit the floating gardens & attention-grabbing canals by an opulent Shikara. Nightlong reside in Srinagar. After breakfast you will be transferred from Srinagar to Gulmarg for 02 nightlong. Gulmarg (8700 ft i.e. 2652 mts), known as 'Meadow of flowers�. Discovered by the Kashmiri sentimental writer in the sixteenth century who was galvanised with its lush slants secured with wild blooms. It is one of the India's chief Hill resorts. Gulmarg today isn't simply a mountain resort of outstanding magnificence - It likewise transforms into India's chief Ski resort in winter. The Gondola Cable Car offers rides to the upland knolls of Kongdori and past to the highest point of Apharwat range to a stature of 14000 ft for review the Himalayan Peaks in summer and for downhill skiing in winter. Overnight stay at a Hotel in Gulmarg. After breakfast begins the entire day touring voyage through Gulmarg going to Alpather Lake, the beautiful Lake when notwithstanding amid the mid June piece of ice is seen gliding, Baba Reshi Shrine, Gondola, Cable Car to Kongdori, Khilanmarg, Skiing, St Marys Church and Maharani Temple. After a tour in the picturesque landscape visiting to inviting sightseeing spots, overnight stay at a Hotel in Gulmarg. After breakfast leave from Gulmarg towards Pahalgam (The Valley of Shepherds) for 01 night stay, one of the wonderful and captivating perfect resorts all the year. It is the base for a few treks in the district and for the Annual Pilgrimages to the cave shrine of Amarnath . It is encompassed by 12 high snow topped pinnacles. Enroute, visit the Saffron Fields of Pampore, Awantipura Ruins (1100 years of age Temple of Lord Vishnu built by the King Awantivarman) and appreciate the delightful countryside life. After Lunch visit the spots in pahalgam by Pony ride (at claim cost) Debayan, Shikargah and Baisaran. Overnight remain at Hotel in Pahalgam. After breakfast you will be transferred to Srinagar for 02 Nights stay. Afternoon day at recreation for personal activities. Overnight stay at Hotel in Srinagar. After breakfast leave for half day visit to renowned Nishat garden also known as "Garden of Pleasure" engineered in sixteenth Century (1633) by the Mughal Emperor Asif Khan followed by a visit to the second awesome garden referred to as Shalimar Garden otherwise called "Garden of affection" worked in sixteenth Century (1619) by the Mughal Emperor Shahjehan . 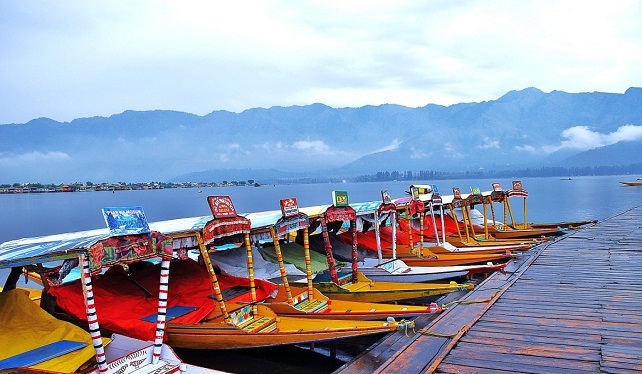 The gardens are arranged on the banks of the Dal Lake with the Zabarvan slopes out of sight. Overnight remain at Hotel in Srinagar. 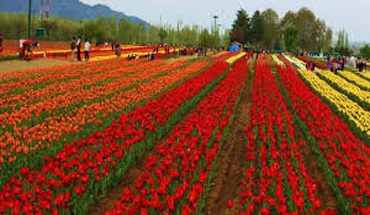 After breakfast you will be swap over to the Srinagar air terminal to embark onto your flight for onwards travel with the sweet recollections of Holidays.